"Bringing the family cow back from extinction"
One end is moo, the other milk. My wife and I had the pleasure of visiting Joy and Robert at their farm outside of Questa, NM last week. Simply put, it was a fabulous experience! Both are consummate hosts! Kind, generous and so interested in teaching and sharing the wisdom they've gained about animals over the last few decades. They "claim" to offer trained cows. I didn't think training a cow was possible. When you see a cow run to the Milking Barn, then into the Milling Stall, put its head in the Milking Stanchion and happily eat while being hand milked, you realize it is not only possible but probably the best way to do things. The cows are happy and very friendly, as curious about you as you are about them. And this isn't one cow, its all of the cows! Truly amazing! Joy taught, showed by example and assisted my wife learning to hand milk cows. Giving little hints, guiding hands and calm instruction meant by lunchtime she was a hand milking pro. After having gained all this knowledge, interacting with the cows and having a delightful time we headed to the house for a culinary interlude where Joy showed more amazing skills. Her lunch was delicious, healthy and featured many of her farm's terrific products. The ice cream made from the milk we had just gathered was a particular highlight! So while I could go on about the wonderful experiences we enjoyed, probably the best answer is for you to go and see for yourself! I would like to share a great “cow buying” experience: We Pasture Raise Angus Beef cattle on our ranch in Northern Arizona, and we also keep at least one Jersey milk cow for our personal milk, cheese, butter, etc. Our old Jersey, Sissy has retired from having babies and now babysits the young weened Angus heifers. In our search for a replacement Jersey, we were recommended to contact Joy & Robert Smith in N.M. They raise Jerseys with such care and passion that is evident from their contact through the whole purchasing process. We now have Sugar that will calve soon and the milking will begin! Sugar came trained and sweet, and is such a joy! We highly recommend Joy & Robert if you’re looking for happy, healthy Jerseys that come to you when you call them by their name! We are so happy with our cow Matilda, purchased in September, 2016 from Joy and Robert. They have been an incredible support from day one when we contacted them and told them that we were interested in purchasing a dairy cow. They are extremely knowledgeable and passionate about sharing their wealth of knowledge and information with anyone who is interested. We attended their workshop last summer and by the time we were through we felt confident that we could care for our cow and provide whatever she needed to live a happy life, providing us with lots of wonderful milk! We enjoy caring for and milking Matilda immensely and she has brought much love and warmth to our community. Joy and Robert have been available every step of the way to answer any questions, give advice, come check on Matilda when we needed it and give us all of the support we needed to become confident cow owners. They have generously opened up their home to us and allowed us to visit and learn from their years of experience. I would definitely recommend attending workshops and purchasing a dairy cow from Joy and Robert. I would like to thank you both for sharing your love of what you do. I was thoroughly impressed with your herd's health and vitality which is evidence of your expert care. As a complete novice, I needed guidance and mentorship to properly raise my first pregnant heifer. With your patience, I was able to learn and get the comfort level necessary to handle such a big animal. Your workshop was extremely helpful. I'm lucky to have received your courses in basic anatomy, cow language, body mechanics, heat cycles, calving, milking techniques, mastitis, medical supplies, and other needed equipment. I'm glad I came back to you after the workshop to purchase one of your precious girls. The time you spent refreshing her halter/lead training and trailering was perfect, making the journey and transition to my pasture seamless. I'm really enjoying my time, at home, with Cinnamon and had such a great time hand milking her mom Ruby, as well as Ruby's herd mates during the workshop. Your delicious meals were made even better with the fresh butter and your hospitality made me feel like family. I can't say thanks enough. We bought our first cow from Joy and Robert three years ago. We were able to visit her at their place once during her training and received a couple days training ourselves. Then a few weeks later when, we picked her up, we received more training including milking and processing the milk as well as care, feeding and handling of our beautiful Jersey cow. Robert helped us make sure our trailer was set up correctly for transporting her home, and Joy went with us to the local feed store to help us pick out supplies we would need. They also showed us where we could order supplies and equipment online. With no real experience we were a little apprehensive, but when we got our cow home she was quite tame and easy to handle. Robert and Joy assured us they would be available to to help us - and they always were. Looking back, some our questions seem silly now, but we were always treated with kindness and respect and received all the information and reassurance we needed. Several months later, we had been considering a second cow when a rescue cow, which had mastitis became available. Robert and Joy took her for three weeks, started her initial treatment and gave her some basic training. With her recovery well underway, we took her home and completed her treatment and training with Joy's and Robert's support. More than two years later, she's still doing very well, gives us lots of rich Jersey milk and has delivered two calves! The following year, when a heifer we had purchased had her first calf, it was time to train her for hand milking. This being our first 'solo,' this was not easy. But again, with help from the Smiths, we succeeded and learned a whole lot in the process. We sold this cow to a young couple nearby and she is now their beloved family cow. 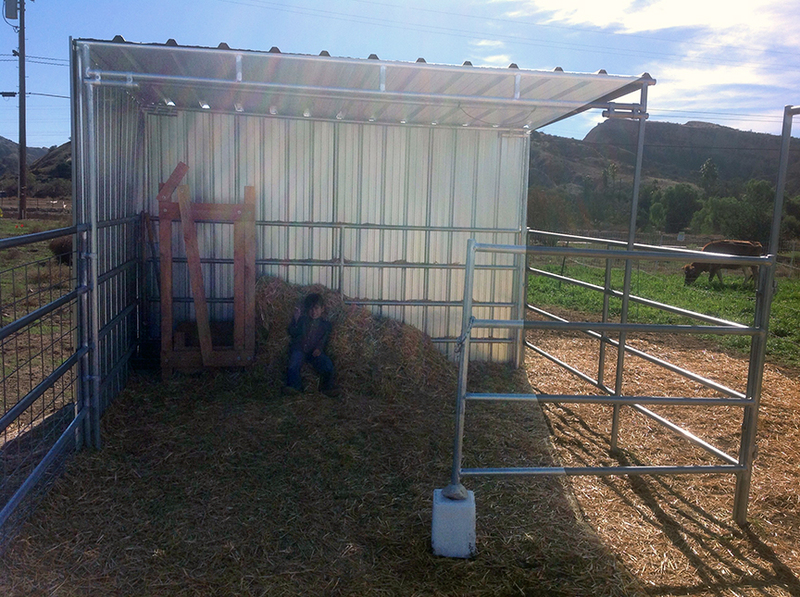 Early in 2013, with the sudden addition of several new customers, we needed a third cow. We bought this one directly from a large dairy, but Joy helped us pick her out and verify her health. With the experience we had gained to that point, and all the education and advice from Joy and Robert along the way, we were able to train this cow without much drama. Thank you Robert and Joy Smith for bringing this marvelous new dimension to our lives. We have known Joy and Robert Smith for the last several years. 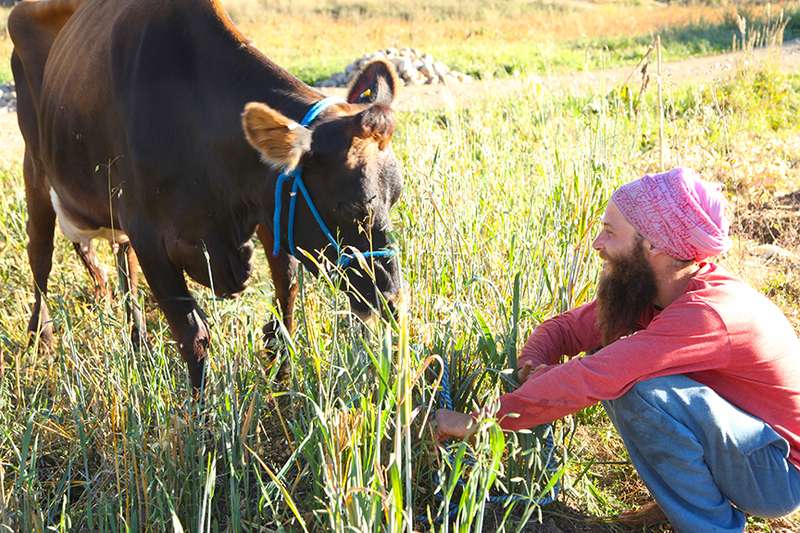 Our relationship began several years ago when we called them for some advice on a milk cow. We had never met them and had already bought a "wild but cheap" cow that we were having problems with. Joy and Robert graciously helped, advised, and coached us through the steep learning curve. We were unable to buy anything from them at that time but they truly have the heart of a teacher and were more interested in helping us to get starting caring for these wonderful animals than "making a buck." We really appreciate them and have grown to be close friends with them. Joy and Robert Smith taught me about milking cows, both by hand and with the EZ Milker. They bothhad the patience to teach a new comer to the milking industry. I now have a job where I tend to a small herd including four milking cows, one bull, two heffers and two steers. Whenever I have questions regarding cows or others in the herd I call upon Joy and Robert for assistance. I could not do my job at times without their assistance. On August 4 2013, I bought a 4 year old cow named Tilly from Joy and Robert Smith. I knew absolutely nothing about cows especially Dairy Cows and neither did my partner. I was just following my intuition which was telling me that it was important to have a dairy cow in these times of such uncertainty about altered food and dairy products. Also I wanted to be as healthy as possible and I had read that drinking unpasteurized milk is one very significant way of ensuring good health. In preparation for getting Tilly, I travelled out to Joy and Robert's place, first to meet Tilly and then to learn to milk her. I appreciated the fact that Joy and Robert insisted on this because I knew then that they really cared about their cows..that they would be going to a good home. If it had not been for their support, my partner and I would have no idea of how to milk and care for Tilly. It much more of a process and responsibility than taking care of other animals and even the local vet admits he knows nothing about Dairy Cows. Joy and Robert have always been available when we needed advice or information and I know that if we needed them to come out for an emergency that they would. Now in just a few months, Tilly will be having a calf and again, Robert and Joy are offering their support throughout this process. I could not recommend any people more highly than Joy and Robert Smith. We visited Robert's and Joy's homestead in September 2013. It was one of the best family outings we have ever had.